This morning, I visited the Martin Luther King Memorial in Washington DC to celebrate Martin Luther King in remembrance of Martin Luther King, Jr. The Tidal Basin was filled with photographers and videographers from local and national TV stations. When I arrived just before sunset, everyone was turned east to watch the sunrise over the Jefferson Memorial. 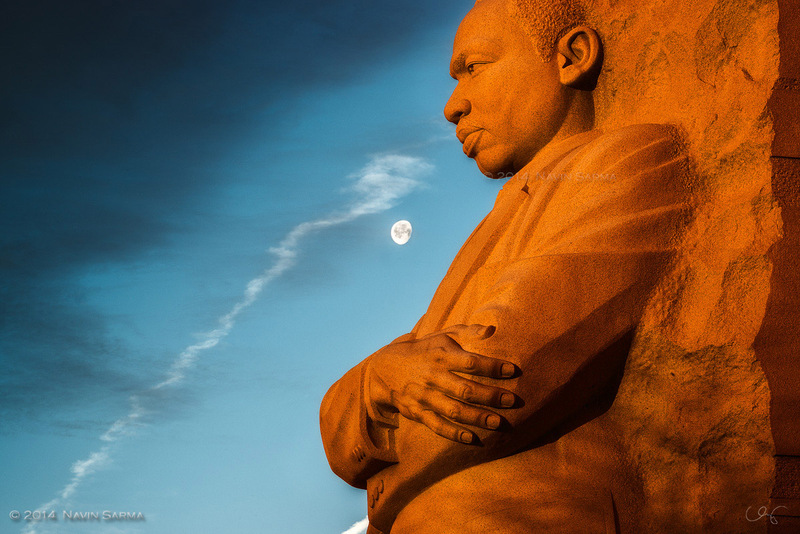 But I went straight to the Martin Luther King Memorial to try to capture a few images. Since I went last, the controversial quote on the east side of the memorial was removed. While I think it was a good thing to remove that quote (given MLK never said it), I’m glad I was able to capture an image of it before it was removed. It was a beautiful and peaceful morning, with visitors steadily gaining as morning went on. Martin Luther King’s distinctive voice rang out from speakers in the distance, adding to the reflective feeling I had. 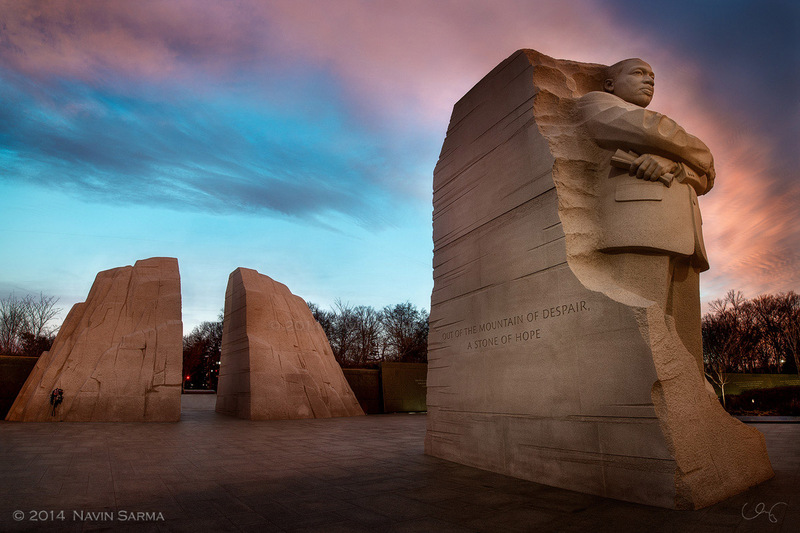 The calm colors of the sunrise and the moon’s presence really felt illustrative of the mood at the Martin Luther King Memorial this MLK day.